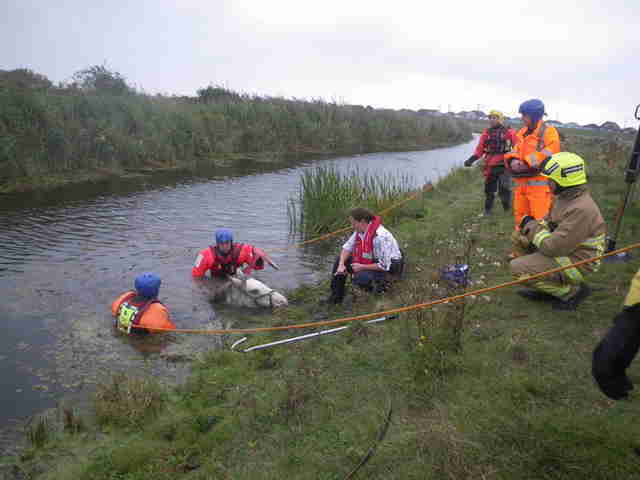 A horse who was found on the verge of drowning in a river in Kent, England last weekend is alive and recovering back home - all thanks to quick the response of rescuers who didn't hesitate to help. After receiving word from a passerby who spotted the animal up to her chin in water, emergency crews from the local fire department, along with members of the Royal Society for the Prevention of Cruelty to Animals (RSPA), hurried to the scene. While it's unknown just how the speckled grey mare wound up in the dire predicament, it seemed certain that she wouldn't have lived much longer without help. "I think we may have been just in the nick of time. 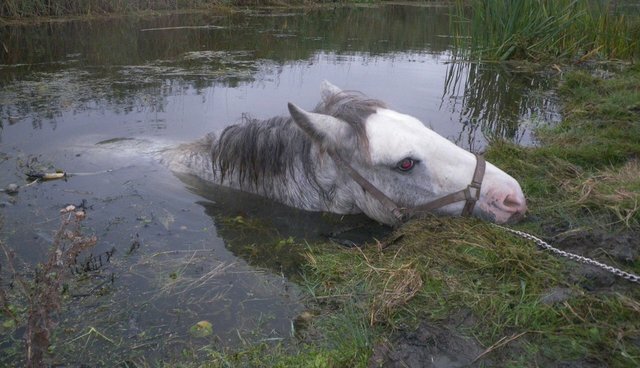 It didn't look good when we arrived and to be honest, I didn't think the horse would make it," says Caz Doe, an investigator with the RSPCA. 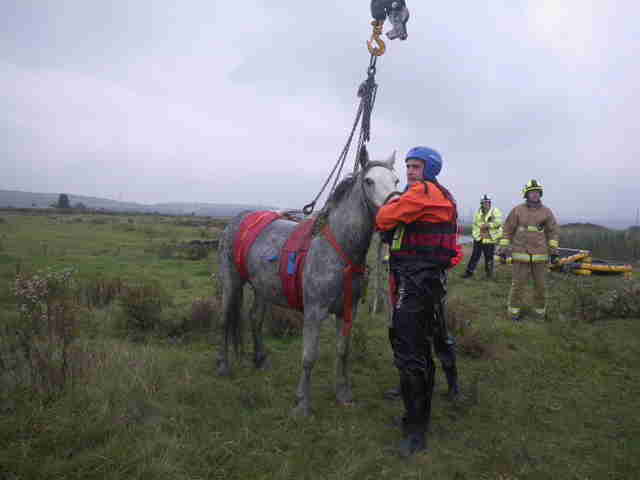 "The poor mare was absolutely exhausted and really struggling - we think she had been in the water for a couple of hours at least." 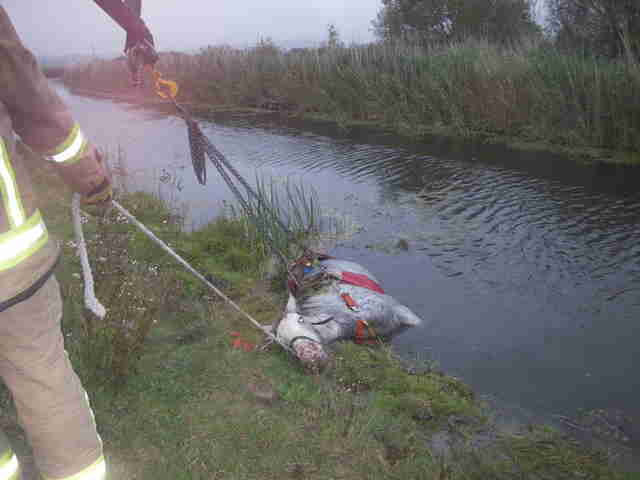 Using a crane, the horse was carefully hoisted ashore to safety. "Then, when she was finally on dry ground ... she stood up. I had half expected her to collapse from the cold and shock," says Doe. "I put it down to her being in such good condition - she had fat reserves to give her energy to keep her going when other horses just wouldn't have made it." "It was such a good example of great teamwork," says Doe, "a really strong joint effort which saved the life of this animal I have no doubt."